GOOD MORNING my sweet creative friends! WOW! 1st of all, THANK YOU for ALLL the WONDERFUL comments I had from yesterday's very first sneak peek! I read them ALL, you are all VERY SWEET, THANK YOU! :) Okay, we have 2 new products we are showcasing today! 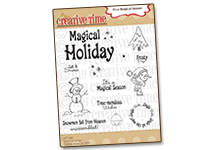 They are "Fun Tickets" stamps & "Stitched Fun Ticket Dies"! Don't forget to watch my video below because I show you how I designed these dies! ;) Don't you just LOVE my decorated conversation heart candy box? The "LOVE" ticket stamp you see on my candy box is just one of 15 awesome sentiments that coordinate w/these fun tickets! 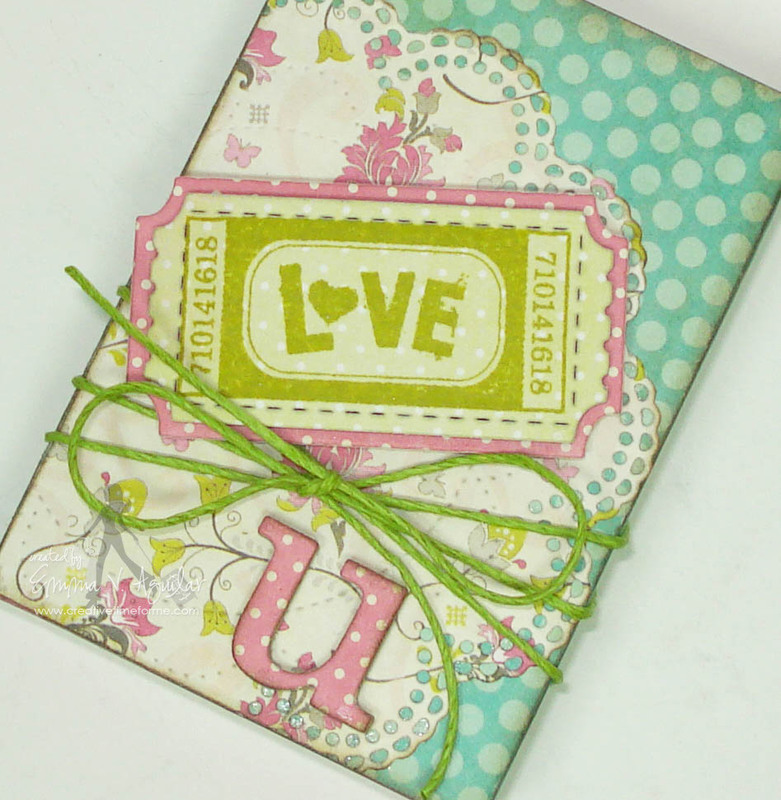 Next up is a cute 3x3 card w/coordinating envelope! 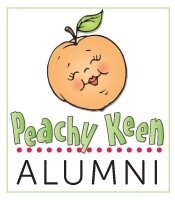 Here is another stamp that is included w/the "Fun Tickets"! We can never have enough "thank you" sentiments so I thought is was fitting to include this one! 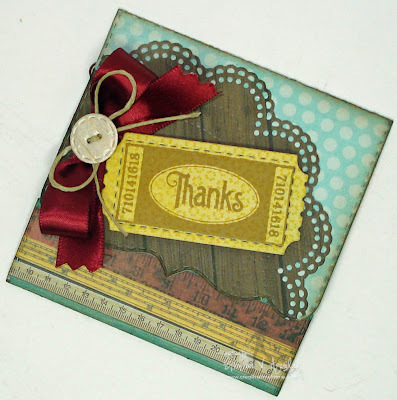 Then I stamped on the inside using another one of my stamp sets "So Grateful For You"! *** This time around we are doing something a little bit different this time around! ;) All you have to do is leave comments on our blogs! You do NOT have to comment on every blog, BUT if you do, you will just have more chances to win! Don't forget to leave your contact info! The thing we are switching up this time is that random.org will be picking a winner that night & announcing the winner the next morning! Example: for Monday's sneak, leave your comments here & share on facebook, then I will annouce the winner (for Monday) Tuesday morning! That means a winner will be anounced every day during sneaks! 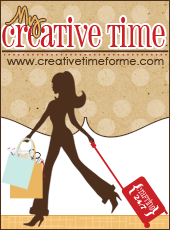 Shared on my FB page with all my crafty friends about your new goodies soon to be released. I just adore these tags!! Too stinkin' cute! These tickets are amazing! Love these! Great designs ladies. You gals rock! Another awesome day of sneaks!! 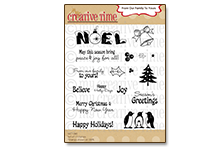 These new dies and stamps are GREAT Emma! Gorgeous projects as always....packed full of inspiration! 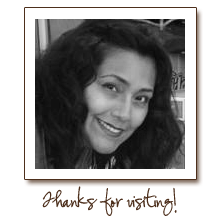 Thanks for sharing and off to post on FB!!! Congrats to your day 1 winner!!! Love the tickets. They are on my gotta have list. Great job! OMGoodness!!! I'm so-o-o-o-o ready for this set! I love using tickets on layouts and cards and both these sets are simply to die for! I'm ready! Wow these ticket dies are amazing!! Another great product to add to my wish list!!! Projects are amazing and inspiring!! Awesome sneak peaks. Can't wait to see full sets. Adorable tag and just love that butterfly also. First, Congrats to the first winner! I know she must be super excited! I love what you have done Emma! Everyone is doing such a WONDERFUL job! I love everything! Can't wait until the release! Oh Emma your creations are amazing gosh you put so much into what you do and girl this release is amazing loving what I've seen so far. You sure use your talents in so many ways and thank goodness you do. It's so much fun seeing what you make or watching you create from scratch. Love it Love you!! Love the ticket stamps! I'm sharing on my FB! The ticket die is very cute, great projects ladies. Can't wait to watch your video. Looking forward to these release, you've got my attention so far. Such cute idea's. Love these fun tickets...what a great idea! And of course, the coordinating stitched die is a must have. Thanks Emma! 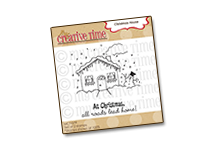 Emma I love these ticket dies and the way you used them on the projects...just love the lacy doily also, I have shared this on facebook with friends. I love the ticket dies. Thinking of projects already. Ticket Dies are SUPER CUTE!!! Congrats to the winner! !AWESOME!Fabulous & Fun DT Projects!! Love the dies and stamps today. You did such a great job on your projects. Wow, more awesome projects by everybody!!! Emma, I am in love with your Sweethearts box! 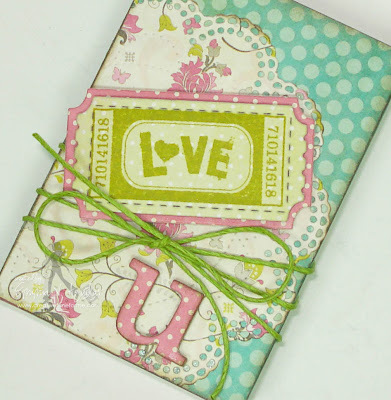 I need to head over to Liz's to order that paper, but how perfect to use the LOVE ticket and the letter u! Your mini card is just adorable too, especially with the doily, and I LOVE how you used a button for the eyelet on your tag!!! Such beautiful projects! Another great sneak peek, and I'm very excited to see what's in store for the rest of the week! Wow Emma another great sneak peek, thanks for sharing, your DT is doing a great job, I love all the ideas and creations and those dies are awesome. Awesome projects! I love the sneaks today! 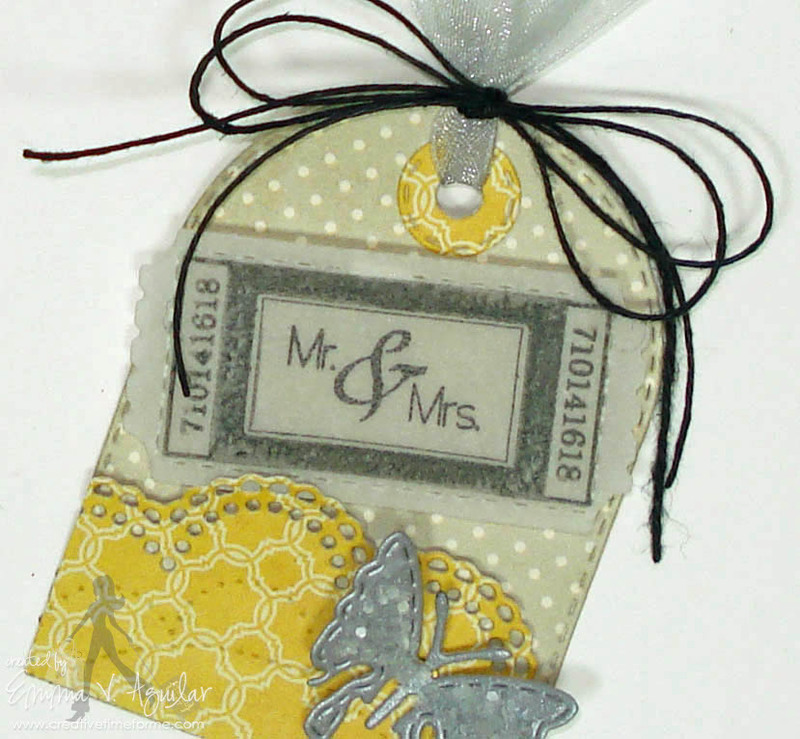 This ticket die and the coordinating stamp set are a wonderful addition to your products! Your projects today are great. I can't wait to see the rest of the release! Off to see what your DT has come up with for today. Emma this is such fun,versatile release! All of your projects ROCK! Loving the DT projects too. Emma, Just love all the possibilities your team has shown us for the stitched tickets...adding so much fun to any project...love your stitched elements..thanks for your designs! You did it again so far loving what i see saving up my little pennies. Love love love the ticket dies. So stinkin' cute! Great projects. the ticket die is pretty CUTEEEEEEE, I love the projects ladies. I can't wait to get the new ticket stamps and dies!!! LOVE the tickets and coordinating stamps! Well done Emma!! WHY, oh WHYYYYYY do we have to wait? I'm ready to buy NOW, Miss Emma! That little tease about that butterfly is KILLING ME! I have to ask...what do the numbers on the tickets represent? I can't believe they're just random numbers! Birthdays, anniversaries...I bet they represent something! Love this new release. Can't wait to order! Oh my goodness!! Tickets and butterflies and doilies oh my! I have to set my alarm for Friday!! My followers are gonna love this as much as I do!! 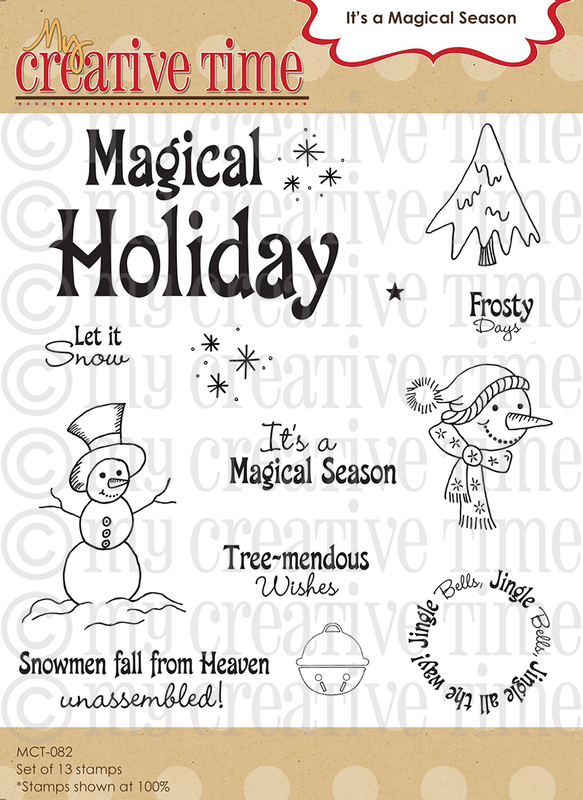 I can not wait to order these new dies and stamps! Everything is beautiful!! Emma you always use the most perfect paper and that is my biggest challenge. Seems I feel I have too much paper laying around but never am in love with it for a project so I go buy some more and then again I got a stack that I don't end up using much and so the collection grows. I think I look at them so much trying to find the perfect paper and then I get sick of seeing them so don't want to use it!! I can't wait to see the unveiling of the products! You did an awesome job as always! Awesome sneaks today! Love it all. Can't wait to see the entire release on Friday. Posted on FB. I love ticket dies. I could use them so many ways. Love the cards! The tickets are so cute. Really want to buy them. Yesterday I really loved the doily die, now today this ticket die is fantastic. Love, Love, Love it! Can't wait to buy this one for sure unless tomarrow there is another die I just have you have. Love, love, love these creations. Emma, you're creativity is amazing. The dies and stamps are a must have. These dies are just to darn cute. I really like the butterfly its so lovely. That ticket die is super adorable!!! I gotta have it!!!!!!! 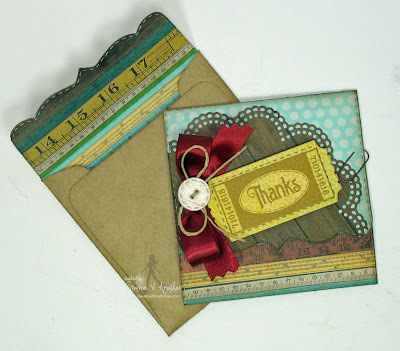 Loving the ticket does and sentiments! 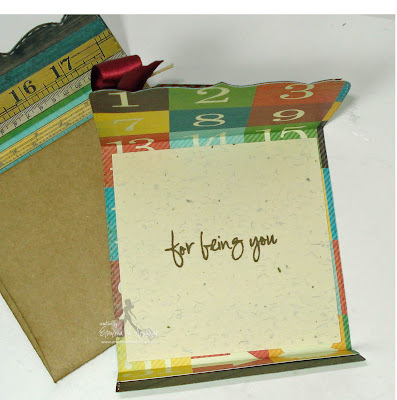 BTW, your conversation box, card and tag are just beautiful! I MUST HAVE that doily die too! LOL! Oh how fun a beautiful!!! 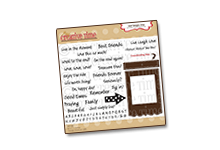 I love the new dies, so many ideas :) again, fabulous job by you and the DT! Love all the new tags and dies. There goes my determination to not buy more and use what I have! Those ticket dies and stamps and the doily die are fabulous. Most favorite release EVER!!! Love every bit of it!!! Wish it were Friday!! Always love your ideas and the new tags & dies are wonderful! Emma, I just had to come back and comment again after going through all the DT blogs. Your DT totally blew this out of the water!! I was amazed and inspired by EVERY SINGLE project! This really, really, really is the BEST release yet!! I wish I could get it NOW!! I just had to let you know!! YAY! a fun ticket die, actually I needed that last week on a scrapbook page. Now I will have it, well soon I will have it. Can't wait to see more. Wow, I just love those ticket dies! They are awesome, can't wait to order. Your projects are gorgeous. Emma ~ WOW, WOW, and did I say WOW! I have to say I ADORE your projects again! That sweet tart box is so stinking CUTE but yet BEAUTIFUL! Then you did the tri fold card with matching envelope ~ the details and papers are simply FABULOUS! 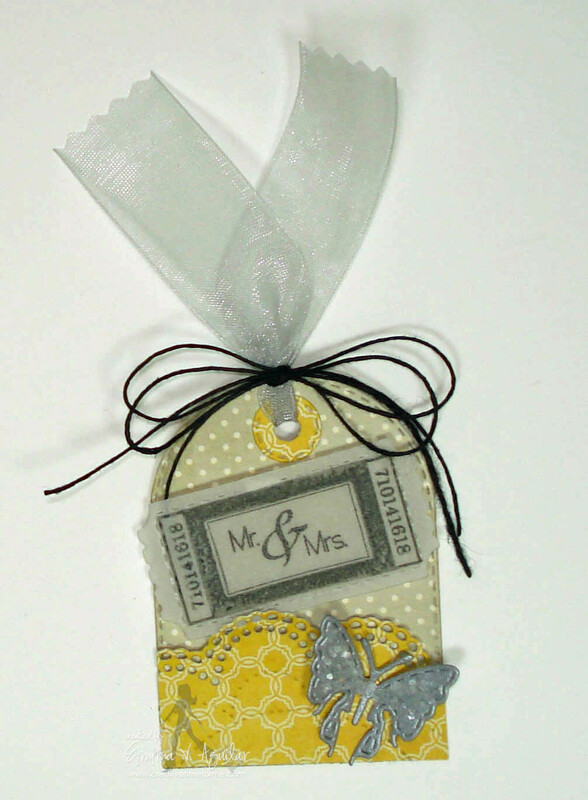 Oh my that Mr. & Mrs Tag ~ I LOVE! I think the chalk ink gives it a smokey kind of look! Miss Emma you ROCK and so did ALL the DT's today and yesterday! I also would like to THANK YOU for not just this release but for selling some dies individually ~ I am that mass producer of your products and when you do that it so helps me out! So TU!!! Can't wait until tomorrow! OMG I LOVEEEEE the tickets! All these projects are amazing!! 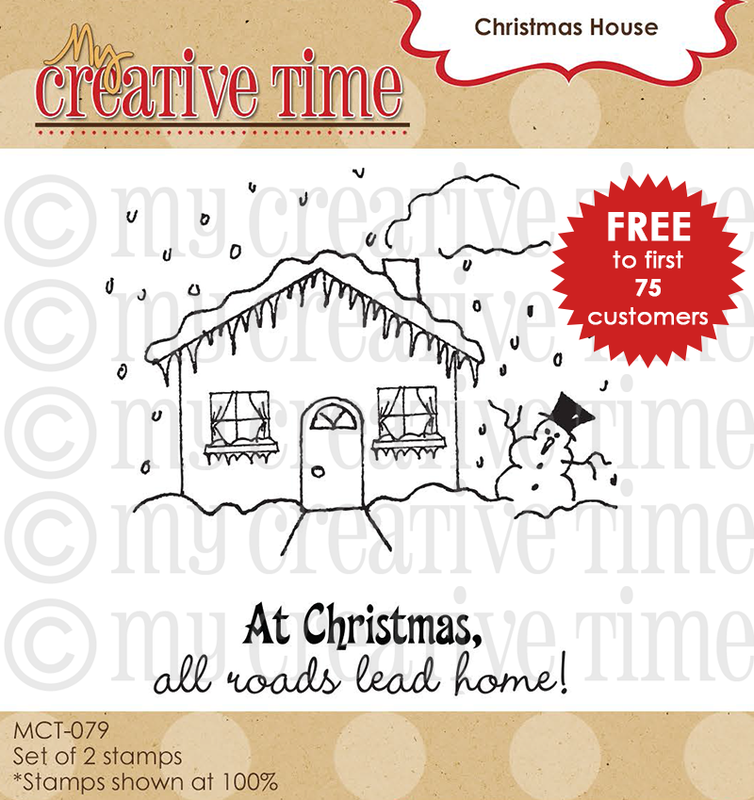 Absolutely love the new ticket die & stamps!! Beautiful projects! 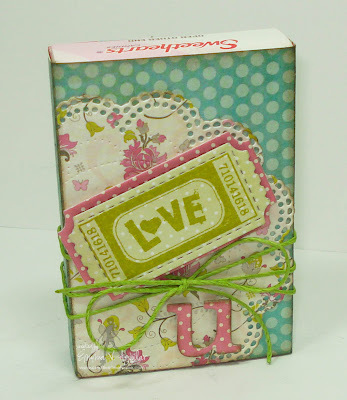 Gorgeous card, tag and treat decor for Day 2 sneak peeks! Love them but the tag is just awesome - from the colors to the butterfly! Thank you sharing you beautiful projects. Shared on FB. I absolutely love all 3 of your projects today, Emma. 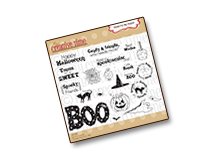 The ticket dies and stamps are adorable, and will be so versatile. Can't wait for the release! LOVE all your fun projects Emma! They are each utterly GORGEOUS!!! Awesome job by the Design Team again - and can't wait to see the rest!!! Love all these projects, very cute. Emma, love the pink and green. Those tickets are awesome. This one, like everything you do, is adorable!! Love, love, love it! Thanks for sharing. Oh My!!!! These are amazing!!!! I love them!! These tickets could be a huge hit in the classroom too!!! My students would love them!! Can't wait to see more!! The ticket dies and stamps are definitely a must have for me! 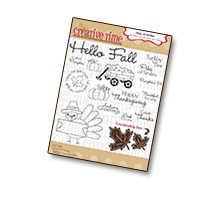 They are so fun and perfect for so many projects. You and your DT totally rocked it by showcasing them in a variety of themes, colors on projects! Off to check out the details on the DT projects! Ladies you have all made great things with the " ticket" so cute! I love all the designs, very nice! Fantastic projects! I like all the thought you put into the tag dies and the tag stamps. Oh I need these stamps and die--love them!!!! Oh emma! You have me drooling! Wonderful projects!! 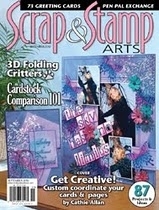 love the dies and stamps! oh all these projects are adorable love the tickets. love your release! can't wait to order!! Thanks for the videos too!! Great projects today! I like the vintage look of the candy box. Thanks for the sneek peeks - its exciting! Feb. 15 - my fingers will be poised over the keyboard to order. Can't wait - this release is a stunner! cute projects. love the kissing booth. tfs. Congrats to Miss Shawn on winning the stamp set. But I must say, I think we're all winners because this release is fabulous. Love the butterfly, I can think of several cards I could add this to. Awesome dies and stamps again. I can't wait! This new release is just fabulous. Love all the creations from the DT's also. Awesome job girls. WOW!! I cannot wait to get this release! So excited! Amazing projects! Oh my goodness!! I MUST get my hands on these! I cannot wait for the release. Thanks for sharing such beautiful and inspiring products with us. Loving all your new products, Emma. You and your DT have done great again today! You are doing it again Miss Emma! I am loving this release and I haven't even seen all of it yet, but I do know that I want ALL of it! lol Fabulous, just fabulous! I am seriously in love with all your sneek peeks so far!! I can not wait till tomorrow:) Awesome projects!! Thanks so much Emma!! I told myself that I could only order one of these but you are making it very difficult to choose one from what I have seen so far. Thanks for such great products. It is crazy that you have another AMAZING release!!!!!! :) Every single month, I find myself thinking that it is your very best release to date...until the next exciting release date comes along! 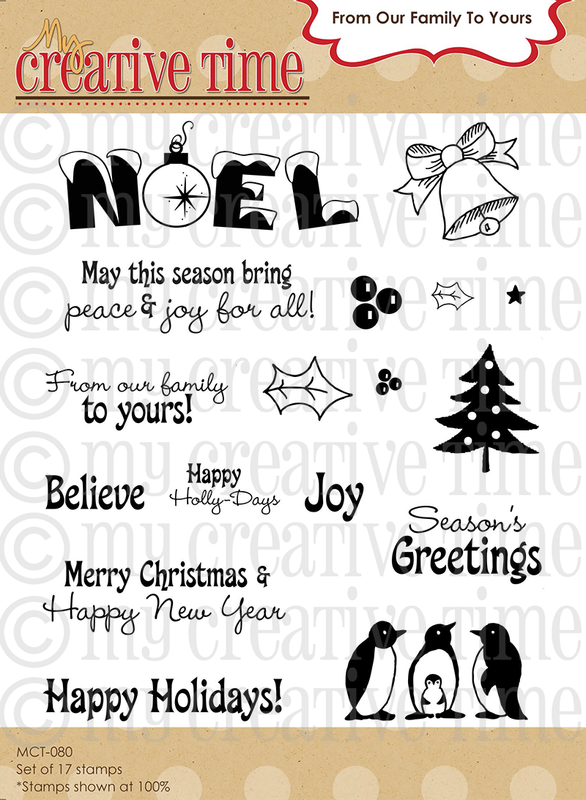 I love, love, love ticket dies & stamps (okay, I am a bit infatuated with them) and your sentiments look unbelievably PERFECT!!! :) And that doily...just the right touch of fanciness and femininity!!!!!!!! And I love what you've done with it the last two days...it's so versatile (love the way you use pieces of it to fit the tag or to accent, rather than dominate, a card)! Thank you so, so much for the inspiration! 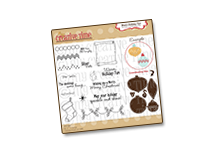 Love the rectangular and oval stamps you made to go in the dies. They really set off the sentiments to a look a little fancier. OMG!!! What can I say. I thought last month's release was amazing but this month's is unbelievable. The doily is so versatile and the ticket stamps have to be my fav. Wait, I said that when I saw last month's hershey kiss. Oh well. Miss Emma you did it again. I can't wait until Friday to purchase this release. Thanks for the chance to win. So cute! Love the tags! 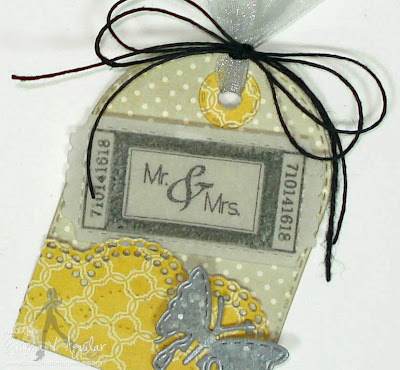 Love the ticket die and stamps-another must have! OMG! What a FANTASTIC release so far! I LOVE your new dies...they are so awesome! And your projects are so ADORABLE ....thanks for sharing :) Have a GREAT day! love love love the sweetheart box! just so fun! Your conversation heart box is so pretty. I am in love with the ticket die! Your releases get better each month, I loved last months release but I can't wait for this one to go on sale!!! Super cute box and release. Gret tag. Like all the details and embellishes you added. I love your different use of color, it is so pretty!!! Totally digging the 3x3 card and insert with envelope, I love it too! That little ticket stamp is absolutely adorable. I cannot wait to get my hands on it so I can create. Beautiful creations! Congratulations to the winner! I am loving this new release...How do you come up with the ideas? Glad you do :D Great projects today on your post and those of your wonderful Design Team. I can't wait to use the doily and tickets...well everything :D Wish I could order it now! Looking forward to what else there could be. Great job everyone! OH MY!!!! I love this!!!! I love love all your new creations for the day!! The ticket is so cute!! Tickeys are my favorite!! I can't wait to get these!! Oh, Emma, I'm in love with the tickets and the stamps. Perfect combination. Thanks for the chance to win! Beautiful projects. I am in love with the ticket dies. I'm loving the sneak weeks thus far. Can't wait for Friday. I love your projects and definitely want the ticket dies and stamps! Thank you for the chance to win! adorable card and bag-I just love the tickets!